Dell has released the first details on its wireless-charging Latitude Z laptop, set to feature an 'instant on' OS and a wireless USB hub to hook it up to your desktop monitor and peripherals. The Dell Latitude Z is set to cost $2000 (£1,260) in the US, with no word as yet from Dell UK on a price or release date over here. The Z has both a Intel ULV processor and an ARM processor to boost the battery-life and allow the 'instant on' mode to work. The machine has power coils built into its base which allow it to charge wirelessly, very much like the Palm Pre. Just a bit bigger! The magnetic inductive charging stand is set to cost US consumers an extra $200 on release. The wireless charging hub is also set to cost an extra $200. The Latitude Z is being marketed as a high-end business laptop, weighing in at only 4.5 pounds and measuring an impressive 0.57 inches thin. More on the UK pricing and release plans for the Latitude Z when we hear back from Dell's UK office. 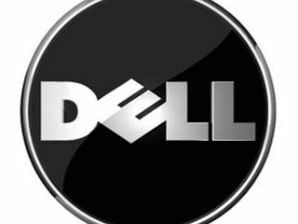 For more on Dell's current range of laptops and desktops, you can head over to the Dell website.